Xiaomi YI YHS-113 HD Smart WiFi IP Camera new firmware upgrade is here starting with the new version of Xiaomi Mi Home Android Application. 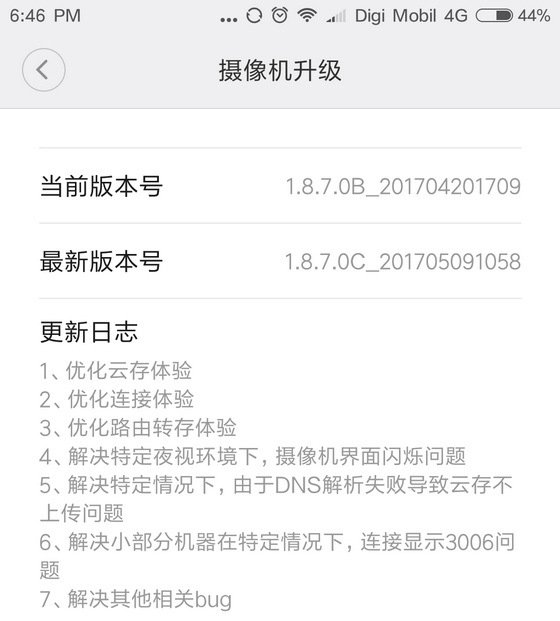 Download Xiaomi Mi Home Android Application latest version from here. Xiaomi YI YHS-113 HD Smart WiFi IP Camera new firmware: 1.8.7.0C_201705091058. Xiaomi YI YHS-113 HD Smart WiFi IP Camera previous firmware: 1.8.7.0B_201704201709.